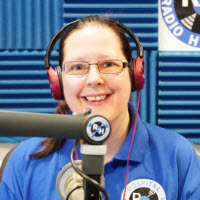 Sarah Newton started working at Radio Hillingdon in 1993 at the age of 15, the same time as Steve Hickman and they have been best friends since they were 11. She works as a primary school teacher during the day. Her hobbies include playing and captaining her local pool team in the Hayes and Uxbridge pool league. She teamed up with Steve shortly after she joined and has co presented the Request Show on a Sunday night ever since. Sarah is regularly seen out at The Radio Roadshows along with the rest of the team and enjoys assisting at quiz nights, fetes and other fund raising events, she is also on the Committee. Her favourite holidays are spent on cruise ships enjoying the hot weather, various Hard Rock Cafes and seeing all the sights! She is a big fan of Disney, Star Wars and the old Musicals like Calamity Jane, Showboat and Singing in the Rain. If you would like to listen to Sarah, tune in on a Sunday Night and listen to The Request Show with Steve Hickman and Jimmy Callaghan.